That body of law which regulates the enforcement of contracts. Contract law is the basis of all commercial dealings from buying a bus ticket to trading on the stock market. Contract law is a species of private law. Contract law has its origins thousands of years as the early civilizations began to trade with each other, a legal system was created to support and to facilitate that trade. Historically, the natural reaction of a trader to a broken promise would be to use violence to encourage compliance. If the use of force became the norm, emerging markets would be doomed and mired in violence. Hence, the law developed to enforce promises, instead of one-to-one violence, the threat of state enforcement. 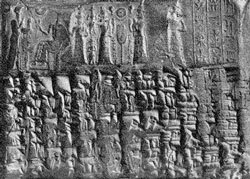 A Babylon contract is pictured, left. The English and French developed similar contract law systems, both referring extensively to old Roman contract law principles such as consensus ad idem or caveat emptor. There are some minor differences on points of detail such as the English law requirement that every contract contain consideration. More and more states are changing their laws to eliminate consideration as a prerequisite to a valid contract thus contributing to the uniformity of law, all driven by the exigencies of international commerce. Contract law can seem like quicksand with its doctrines and exceptions but in reality, 99.9% of contracts are complied with, and of those that go to Court, the Courts are alive to people trying to get out of their deals by pleading some remote contract law point and usually do not support it. Without the expectation that a Court will enforce a contract, the commercial system would fall apart. See the extensive articles in Contract Law in the Legal Resources section of duhaime.org.